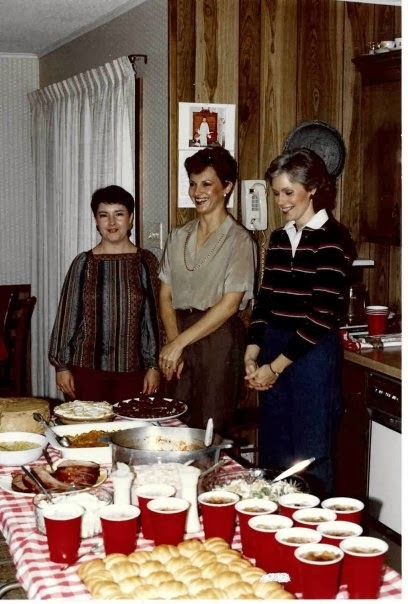 This is a party link that shares all things creative from the kitchen, decorating, and family from a Christian perspective. 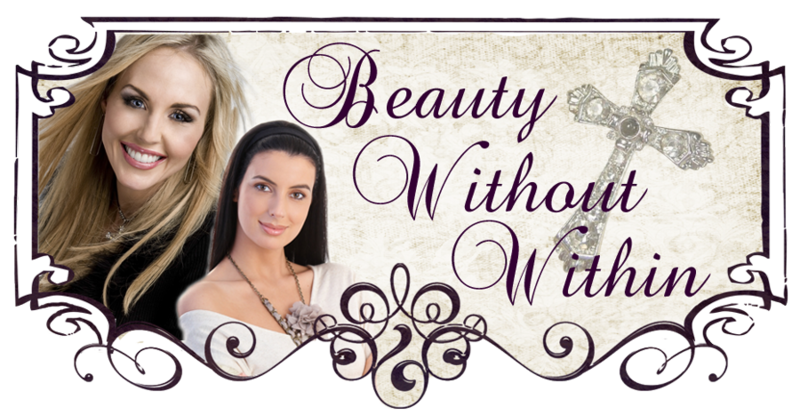 I am excited about joining Allison and the other bloggers on Fridays. 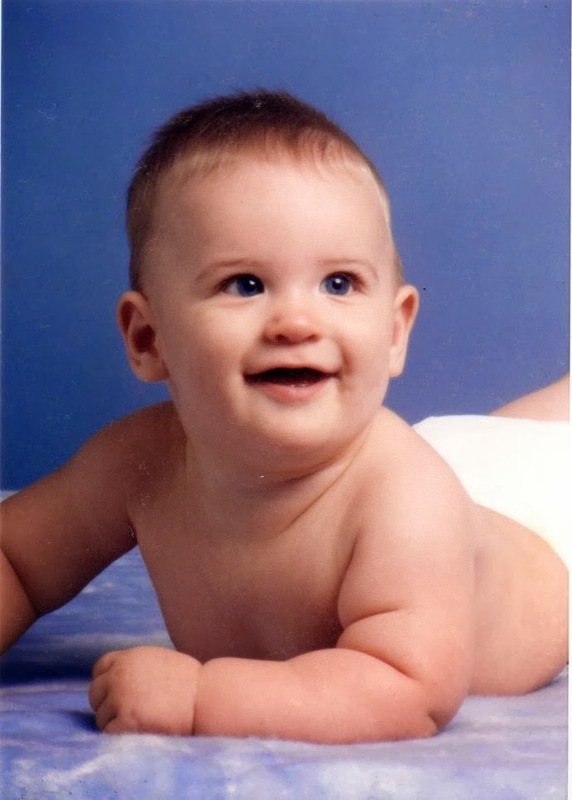 was born on February 28, 1995. There has never been a dull moment since that special day when this six pound preemie came into our lives. His weight at that time should have been a good indication that he wouldn't always be a "little" boy. 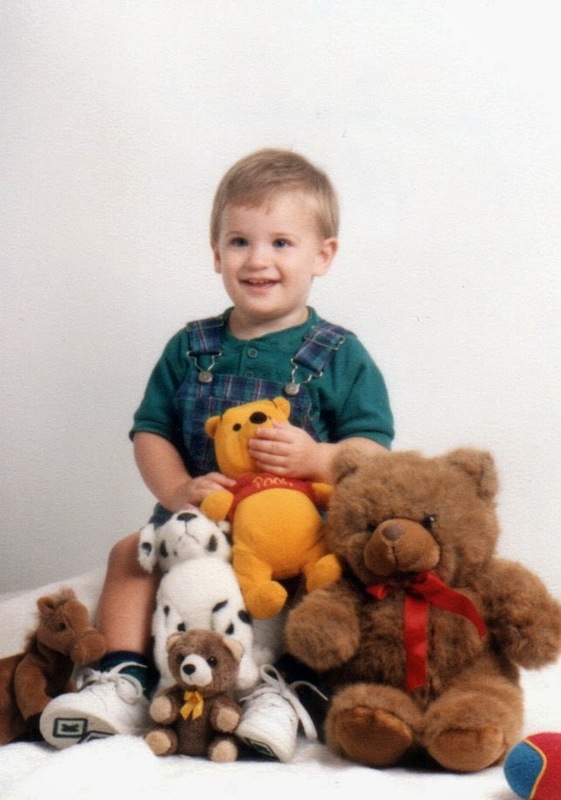 Jackson was our second grandchild, and just let me tell you, with this happy, always smiling bundle of joy also came a lot of love, fun and busyness. 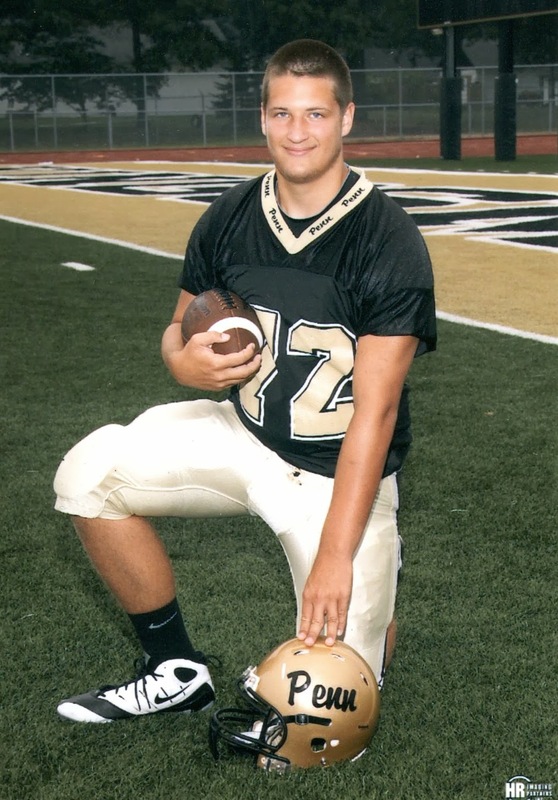 From day one, he loved everything about being outdoors from fishing, hunting, riding his four-wheeler, to playing every kind of ball. 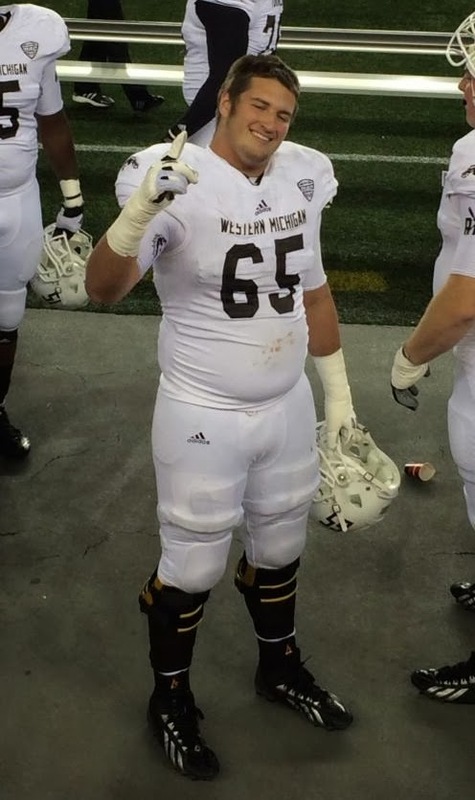 Jackson is now an Offensive Lineman for the Western Michigan Broncos and they want him to keep growing. 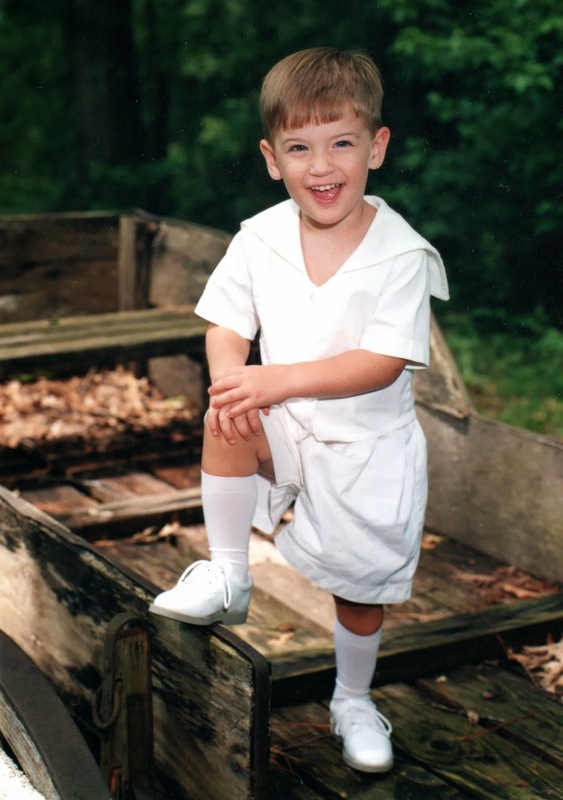 But, Jackson Marcus will always be my special "little" boy. I love you with all my heart and could not be more proud that you are allowing God to continue growing you into the man He desires you to be. That I am one year from being 70! YIKES!!! I hope you weren't looking for anything meaningful in this response. I really can't think of anything that I haven't done regarding inside chores. Outside chores like power washing the house or painting, or doing carpentry repairs, then yes. How did I manage that? It's not my job! Pure and simple! This is a toughie and a debate that has divided psychologists for generations. To argue that nature shapes our personalities the most would negate the affect of all experiences and relationships one might have. On the other hand to suggest that nurture is most influential could mean that we are born with a "clean slate," making us devoid of all inherited characteristics. Therefore, I will venture to suggest that both are of equal importance in shaping our personalities. To quote a noted psychologist, "Which is most important to a triangle, the width or the length?" Sight. I can't begin to imagine not seeing my children and grandchildren for the first time, or to melt when they smiled; not being able to see one of my granddaughters emerge from her mother's body; to not be able to look into the face of my sweet husband; to not see the silently shed tear from a hurting friend. Yes, I would most miss my sight. Lord, please don't let me take it granted. 6. What's the best music, theater, or sporting venue you've been to? What made it great? As part of a trip to the Holy Land many years ago, we visited Amman, Jordan. While there our guide took us to the ancient Roman Theater, built during the reign of Antonius Pius between 138-161 CE. 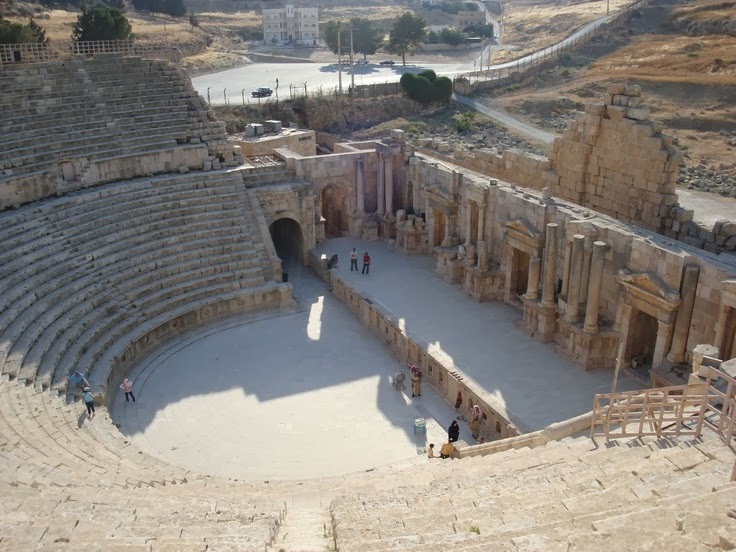 It was built into a hillside and could at one time seat 6,000 people. There remains a partial third level which was called "The God's." The theater was oriented north in order to keep the sun off the spectators, and there was not a bad seat to be found. We had the most wonderful experience there. The group asked my Hubby to sing "How Great Thou Art" from the stage. The sound carries perfectly all through the theater because of its steepness. I will never forget hearing this wonderful hymn sung so beautifully in this ancient place. It was a holy experience. We missed the Olympics last night. We had watched every night since the Opening Ceremony and now Sochi, as such, has ceased to exist. I have enjoyed the personal stories, and seeing the triumphant faces and even those that went down in defeat. 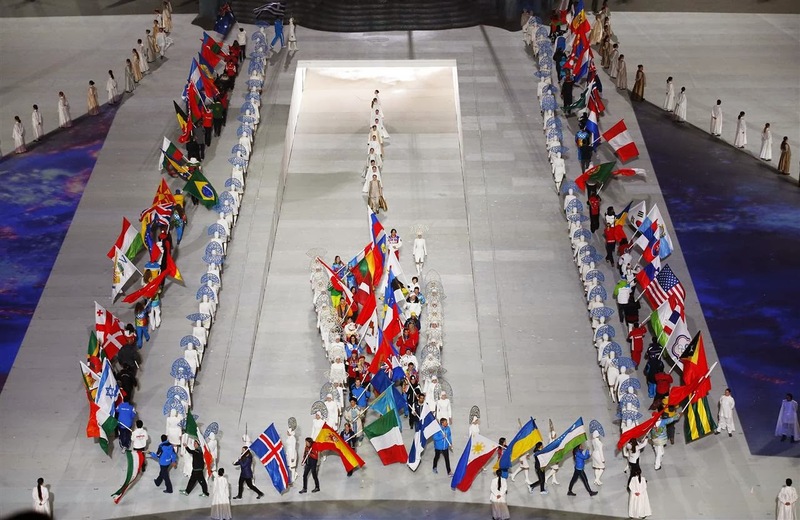 The Olympics is an event that unites not only our country but the world for a few days. And, as one commentator said, "The world gets smaller every four years!" I have to admit that I found the beginning of Season 4 to be very much a soap opera. But, the finale was excellent and will again keep us on the edge of our seat awaiting its return next January. What might happen between now and then is any body's guess. 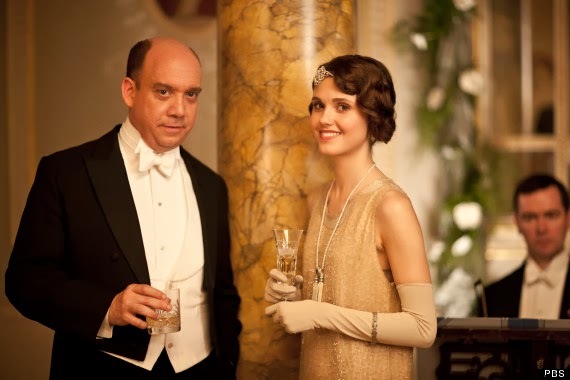 Will Bates and Anna remain as happy as we last saw them? Will Harold succumb to the wiles of the fortune seeking Martha? Although I really kind of liked her. 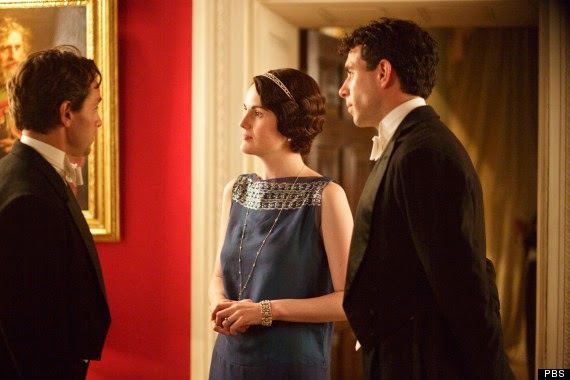 Which of Lady Mary's suitors will be the winner and at what costs? 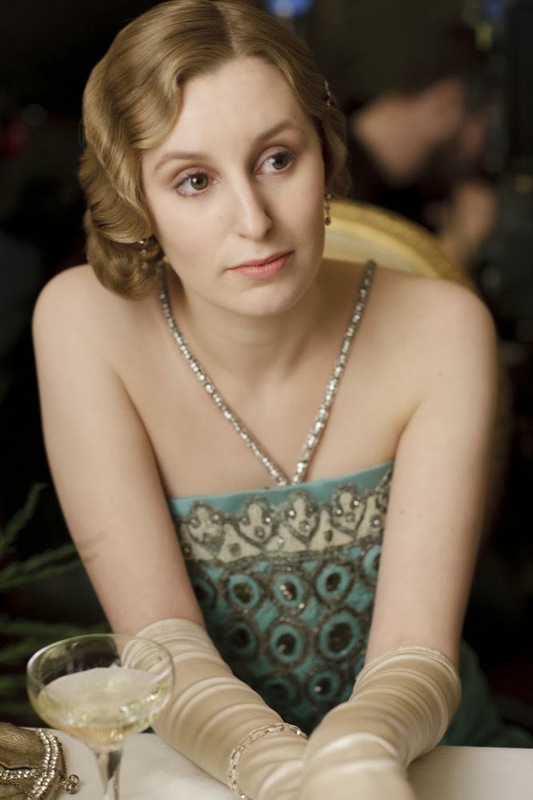 Will Lady Edith's plan to bring her daughter near by be in both their best interests? Oh and best of all, will Mr. Carson and Mrs. Hughes have a relationship after all these years? One of my favorite and basic outfits is black pants and a black top or shell. I call it my uniform. I find that this gives me freedom to dress up or down depending on the jacket or sweater and accessories I add. Yesterday the weather was preparing us for the soon-coming spring by teasing us with a 70 degree sun shiny day. I knew I would need a light wrap for church so I added a long loose-weave cardigan and my very favorite piece of jewelry. 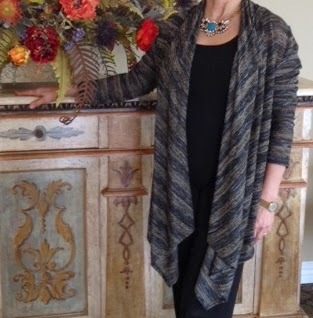 I love the way this elegant sweater drapes across the body and covers the back side. The colors and design make this sweater so versatile. 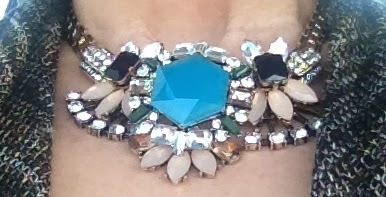 Have I told you how much I love this necklace? Maybe a few times! If I were to have a signature piece, it would be this. I am not normally a "Bling" person, but this piece speaks to me and makes me happy. Thank you my sweet one for being so willing to help me. Such a fun list of questions today, Joyce. Thank you again for giving us so much to think about. How much time do we have! Ethics, or the lack thereof, I think is #1. Basic in this is the lack of respect we have for others resulting in things such as the acceptance of abortion, homosexuality, amoral and deviant behavior, inappropriate public attire, living together before marriage, corruption by public officials, and the list goes on......... Without moral ethics to guide us, we are a lost civilization. Having to make the penalty run if I missed one or more of the targets. Canned Beans - they make the most delicious soups, dips etc. I would also love to cruise, if it were possible, all the way down the Mighty Mississippi on the Mississippi Queen. Rarely do anything productive, but I will reach for my iPhone or iPad and play a silly game or two until I get sleepy again. 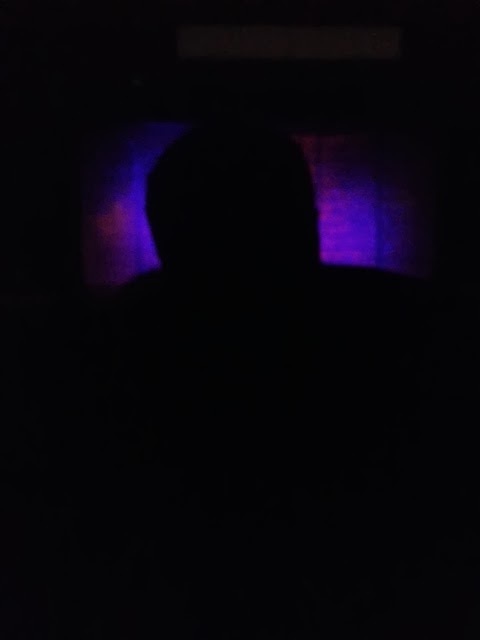 I know they say never look at the little blue light, but that seems to get me sleepy again when nothing else does. Very!!! I have both kept and not kept, and the keeping brings much more positive results. The Midwest got clobbered again this week with snow. 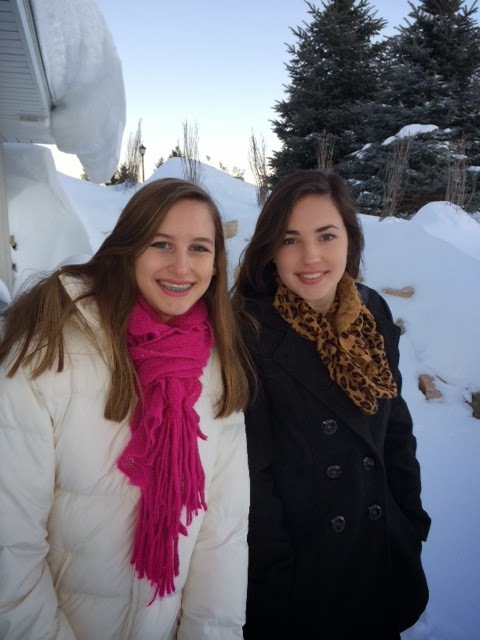 Son sent this picture of our two granddaughters standing in front of their house and a snow bank higher than their heads. Aren't they just the prettiest things? The family is looking forward to escaping to Florida during their up-coming Spring Break. Good for them! 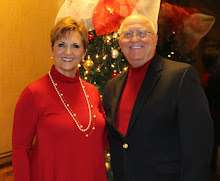 This past Saturday night Hubby and I were invited to attend the Shreveport Opera. 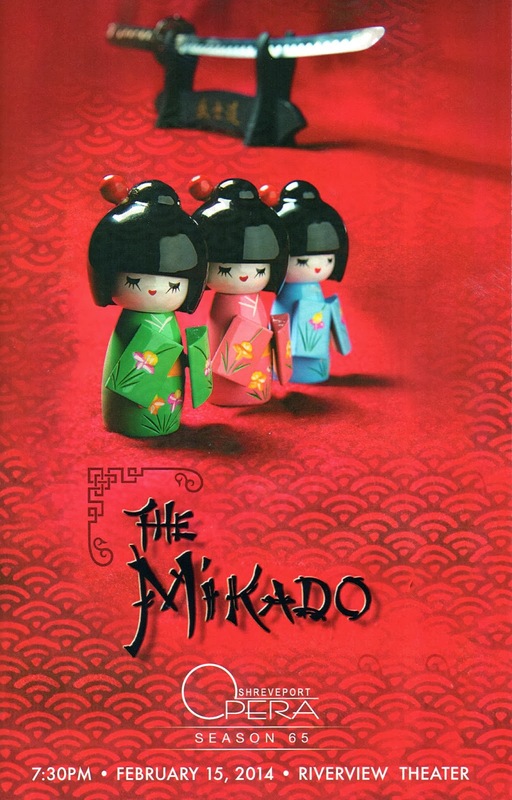 We don't normally attend the Opera as we much prefer the Symphony, but free tickets in the Platinum Section to see "The Mikado" by Gilbert & Sullivan, I think we can make an exception. It was a wonderful production and so funny. BUT, this was my view most of the night when I wasn't bobbing from left to right in order to see. A very large man obscured the whole middle of the stage from my view. If I had actually paid for those tickets, I think I would have sat on his head and let those behind me figure out how to see over or around us both. Other than that, it was a great night although I did feel sorry for all those well-heeled ladies in their full-length furs. They looked lovely, but it just wasn't mink weather. I suppose if one lives in the deep south and owns a fur coat, then one better squeeze in the wearing when and wherever one can. I know it is still winter, but in my part of the world today, it looks like SPRING! We are really trying to not brag on our great weather while other parts of our country are still being buried in ice and snow. It was 1969 and Hubby and I were visiting a church in northeast Louisiana "in view of a call." Probably only you Baptists will understand that phrase. But it means that a church had invited us to visit them to see whether they wanted us on staff or if we wanted to serve with them. 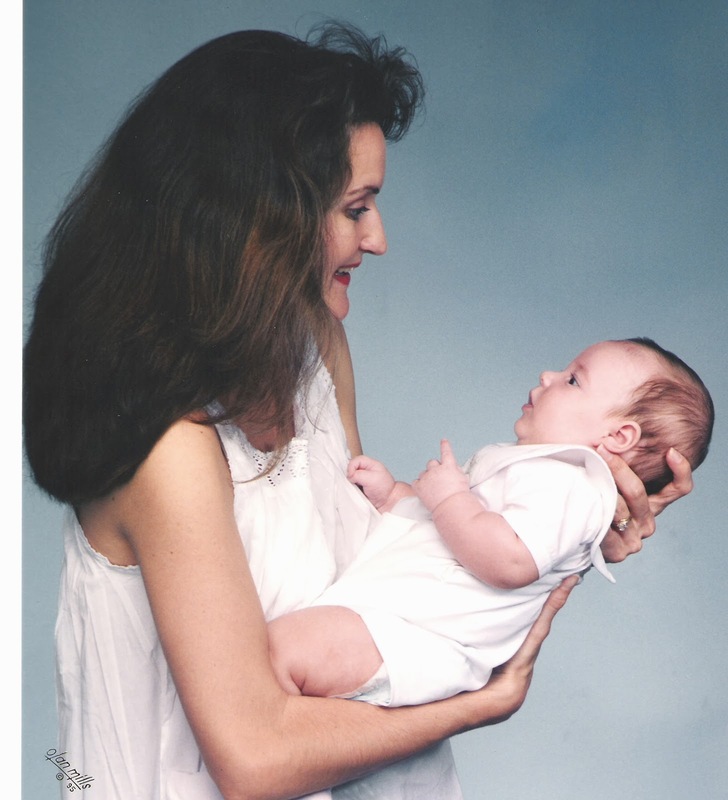 I was 8 months pregnant with our first child at the time. I visited a couple's Sunday School class that morning and was immediately drawn to another young mother-to-be. I found out later it was mutual and Monica and I became best friends as did our sons, John and Jonathon, who were born only a few months apart. A few months later we added Becky and Neal to our circle of friends and their daughter Ginger, who was only a few months older than our sons. 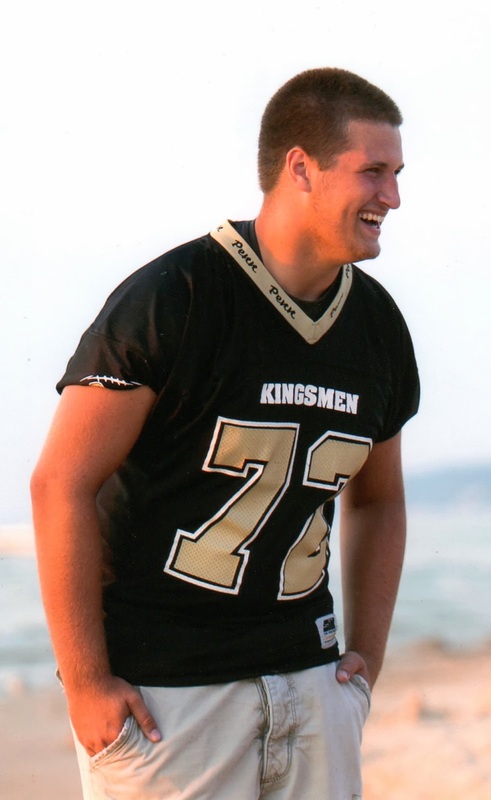 A few years later they had Neal Allen who was like a younger brother to John and Jonathon. All that to say, our families were very close and we shared many good memories. The three of us at a typical Friday night gathering at Neal and Becky's house. But, life happens and people move and circumstances dictate relationships. Our friendship changed through the years although there has always been a very special bond between us. Recently, we saw each other and vowed to get together soon. We did that this past Friday at my house. There is something about a friendship like ours that survives and overcomes both distance and circumstances. It is as if it has been sifted and only the sweetest and most meaningful part remains. We so enjoyed our time together and just let me tell you that the conversation never lagged for a single second. Yes, we are planning more times together in the near future. 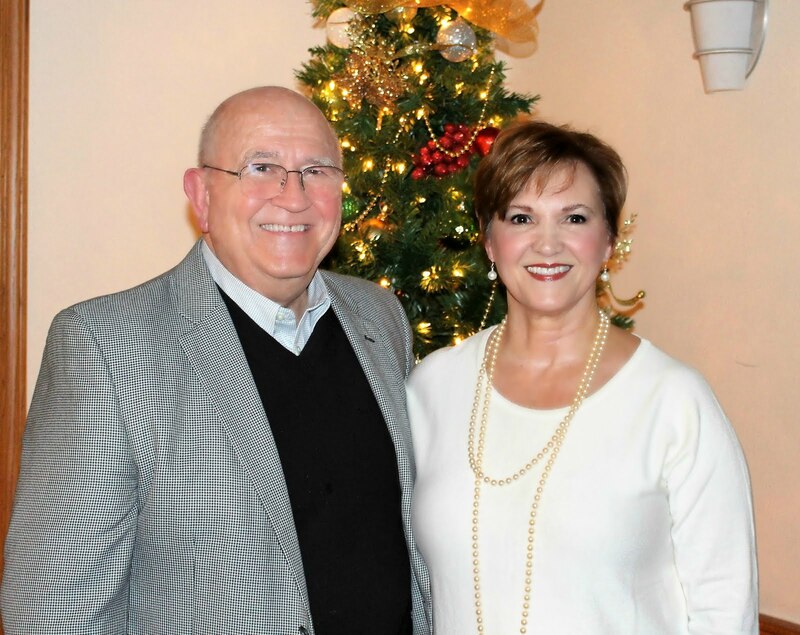 Judy and husband Karl are Sunday School friends of ours and this beautiful story was featured in the Shreveport Times this past weekend. 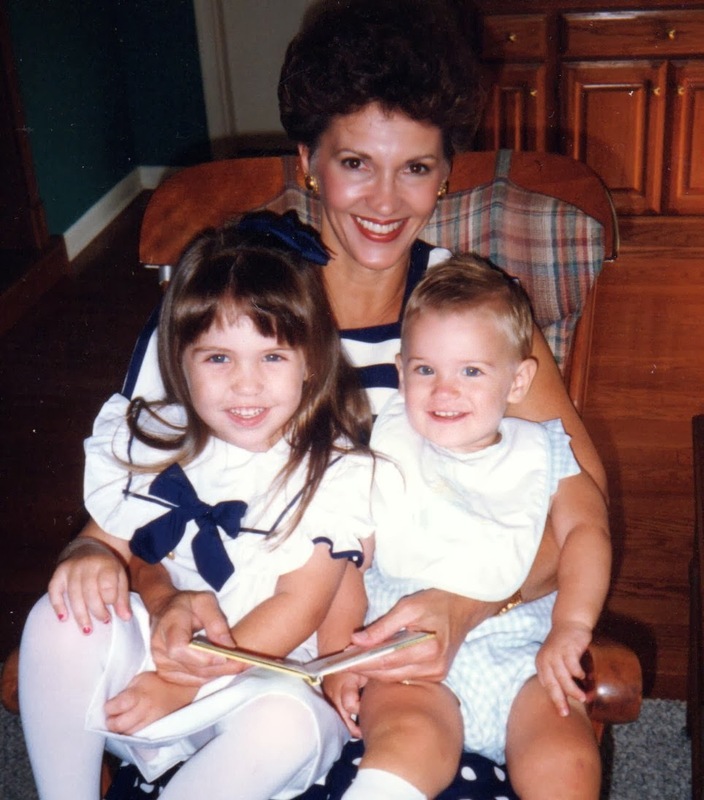 It is a touching story of how this Mother and Daughter have fought a serious disease. Click below to read this story. I recently saw an article entitled "Leggings Are Not Pants," and thought "Thank you!" I am so tired of seeing not only young girls but women, some even my age (YIKES, for sure) wearing leggings as if they were a pair of pants. "They're Tight But Are They Pants?" "When leggings began showing up to his school in force in October and November, school officials were repeatedly sending teens back to their lockers or calling parents to bring something to cover up. The rule is that legs must be covered south of the hip, fingertip length; in other words, a skirt or shirt or sweater must hang south of where a dangling arm's fingertips reach. I have to agree and voice my appreciation for this philosophy. Leggings are fine as long as the top covers the hips and upper legs. There really are some cute looks and I personally enjoy wearing mine with a long loose top or sweater and boots. So, what are your feelings on this hot topic? I thought you might enjoy pictures of fashions from the past of this favorite Olympic sport. 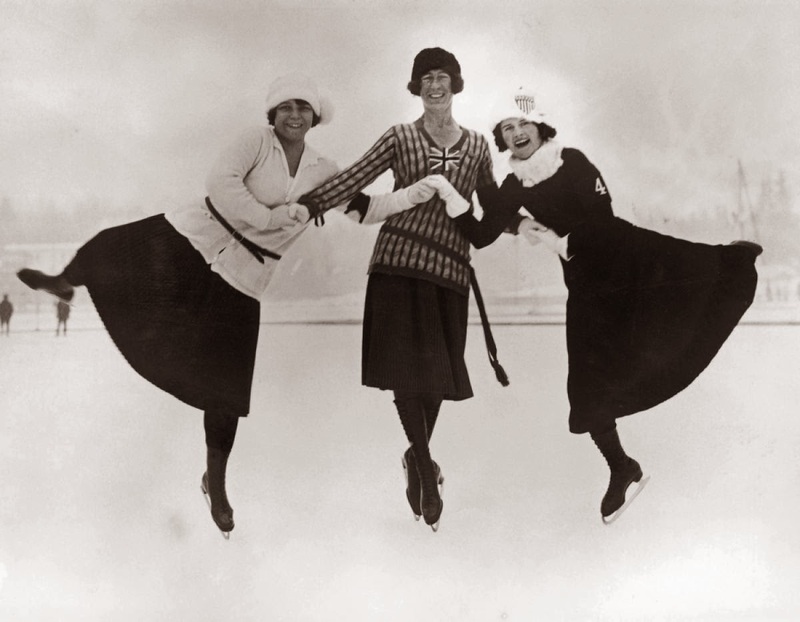 These are skaters from the 1924 Olympics. Hungry on left, Great Britain, and USA on right. Can you imagine doing a Triple Axel in a full-length wool skirt and sweater? For those of who are still suffering through Winter 2014, let me inspire you to hold on. 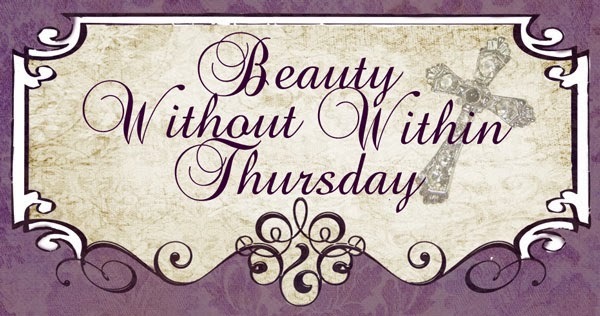 This is a slight departure from the norm for me as all the "Beauties" I have shared before are personal friends whom I have known and loved for a while. Each have had a unique impact on my life. I met Susan only a short time ago and not in person but on Instagram, of all places. I don't recall how I first saw her pictures there, but it didn't take me long to follow her and anticipate her postings. She told me that in less than a month of opening her account, she already had over 1000 followers. 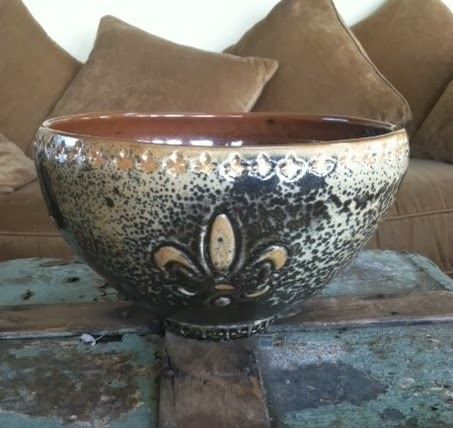 You see, Susan is a potter and she posts pictures of her beautiful works on SusanBassPottery, and it didn't take long before I was captivated with every thing she did. Then I began to notice she also attached a scripture with each piece of art work. I knew I wanted to know more about this potter with a heart for Christ. I contacted her and asked if I could share her story and she so graciously agreed. I know you will not only appreciate her beautiful works of art, but also the beautiful person who creates them. Following is Susan's story in her own words. You will understand why I didn't try to paraphrase. I was a stay at home mom with three kids and my two sons would be graduating high school and I had no idea what I was going to do with my life. My daughter would be entering Jr. high and the elementary school years would be over. So I began praying for the Lord to reveal His will for my life. And that very day my daughter and I drove past a house that had a sign in the front that said "Art Show," so we stopped and it was a potter's house. He made these amazing large pots. They were beautiful! He gave us a tour of his studio and showed us the kiln he built. The next day I woke up thinking of that pottery studio. I began reading my Bible like I did every morning. I prayed and then just flipped through pages of scripture and just randomly started reading. There was the word "pottery" in bold literally floating off the page! Yes, pottery was levitating and I thought it was a trick on my eyes. I thought I was going crazy! Just a couple hours later my friend texts me and asks me if I want to take a ceramics class with her at the high school! I hadn't talked to her in a week so she couldn't have known. That began my journey. I started pottery at the high school and I remember walking into that studio totally broken because my mother’n’law had just passed away. I sat at that wheel and felt peace. Every Wednesday night I spent hours just trying to center the clay. The high school teacher found out I had a daughter in 6th grade and he suggested I teach pottery at her elementary school. He offered me free clay and firing for the kids... this would be a good advertisement for him because these kids would eventually end up at the high school. Within just a few weeks of starting pottery I was teaching it at the elementary school! Wow! I was so amazed! That summer I took my first art class at the local community college, Ceramics I. For the last three years I have been a full time ceramics student. My skills have developed at an apparently super fast rate. My teacher says I am a prodigy. But I know it’s Jesus! 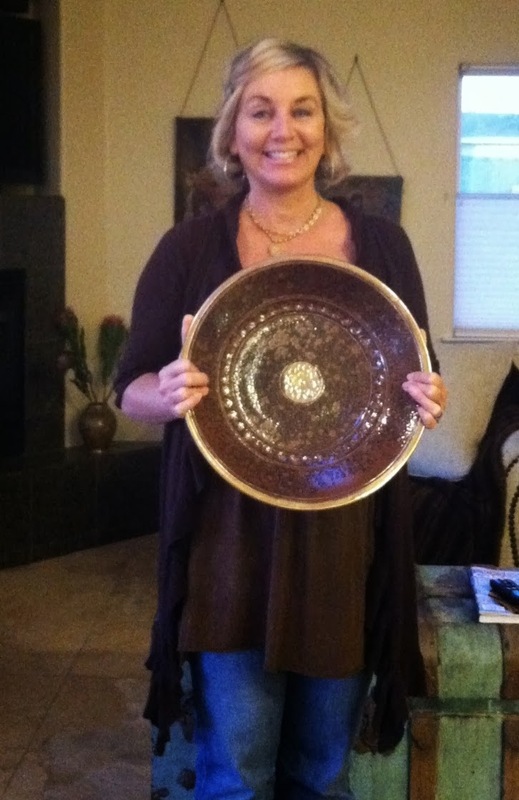 Along the way the Lord has been encouraging me and given me over 40 pottery scriptures. He continues to stay at my side strengthening me during this most incredible journey of my life...pottery. I asked Susan where she gets her inspiration and she told me that she has always loved beautiful things and in fact took an interior design class in high school and loved it. She was even accepted to the Art Institute of Dallas following high school but was encouraged to pursue a Business Degree instead, which she did but totally disliked the process. She said she never took any more art classes after this and life took over. 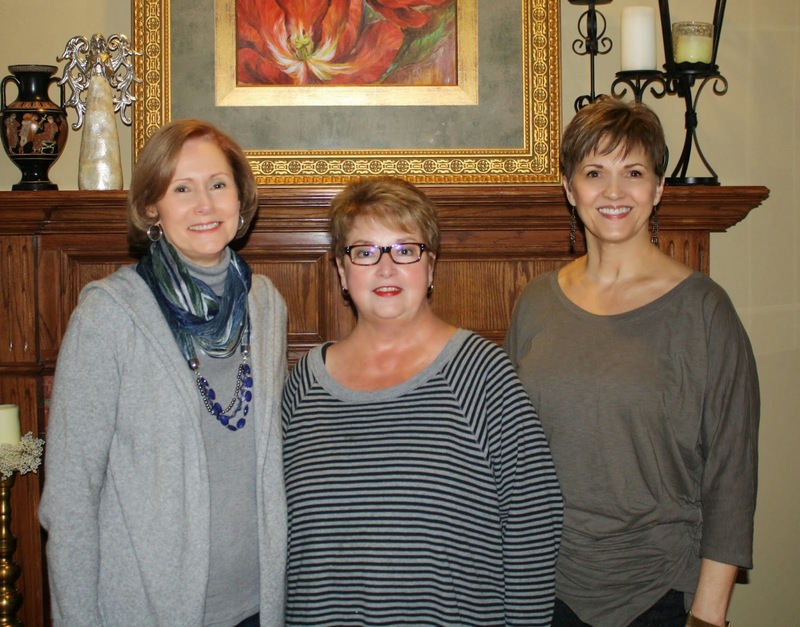 Although she tried every craft out there from painting, mosaics, sewing, furniture refinishing, beading, jewelry making, and enjoyed all of it, she never really found her niche until God opened the door to pottery. 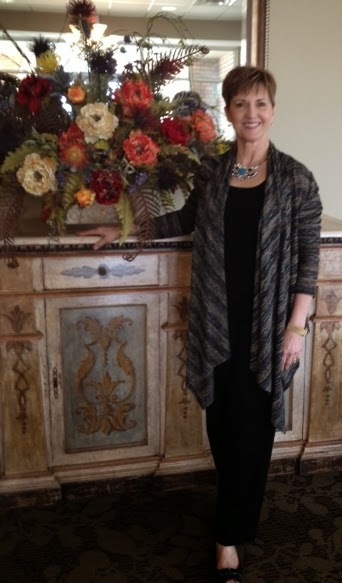 She gets her inspiration through interior design, architectural elements, (which you will see evidence of in her pieces) fabric and paper designs and jewelry. 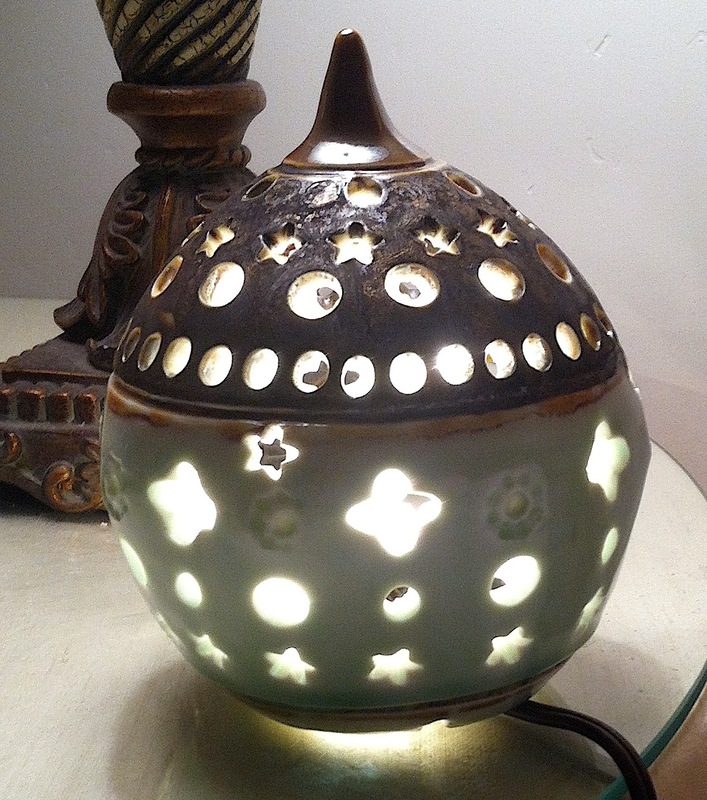 "I am also inspired by the beautiful things in Solomon's temple," specifically the Biblical descriptions of the lamps, bowls, ladles, firepans, plates, etc. for the alter. She says, "I am always inspired by the attention to detail and dedication in building the temple." This large Porcelain Platter is her favorite piece. Susan told me that she incorporates all of the crafts she's ever done as she weaves them into her pottery. 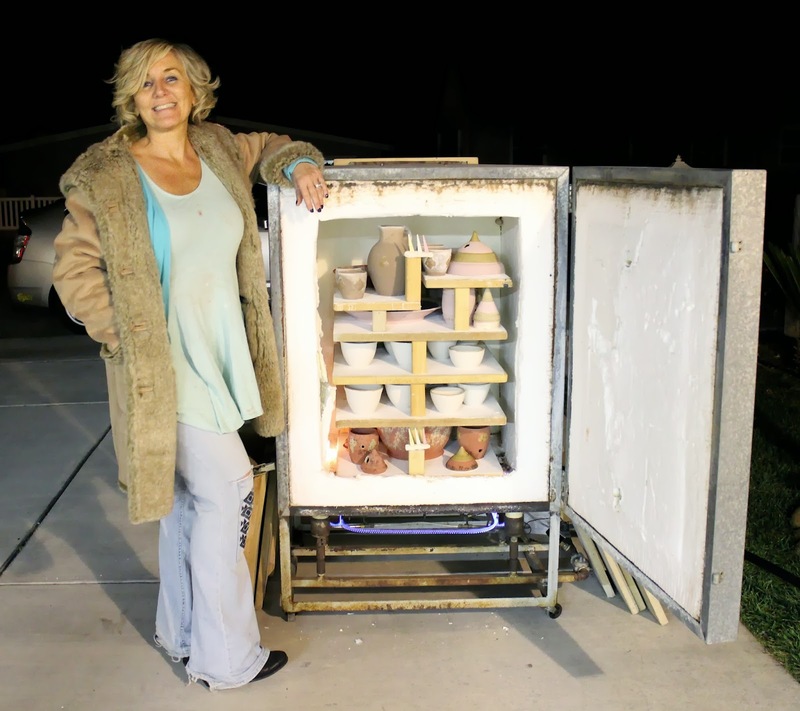 She calls herself more like a "Martha Stewart" of pottery. 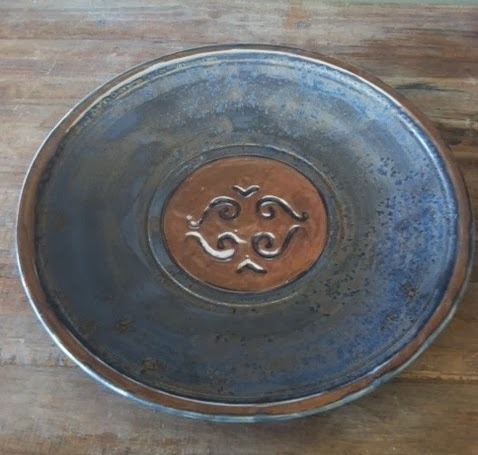 Susan's pottery is fired to what is called Cone 10 and it makes the most superior cookware. They are all dishwasher, oven and microwave and safe and contain NO lead. 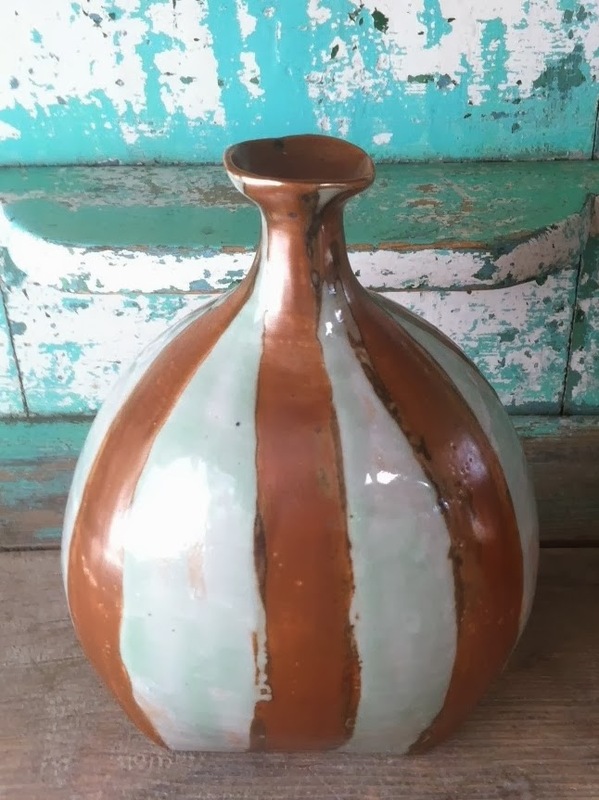 She tells me it is better than Le Creuset, William Sonoma, Corning Ware, etc because the kiln she uses (below) is fired to an extremely hot temperature - 2300 degrees and then the kiln is smoked and the oxygen reduced during the firing to achieve amazing colors. 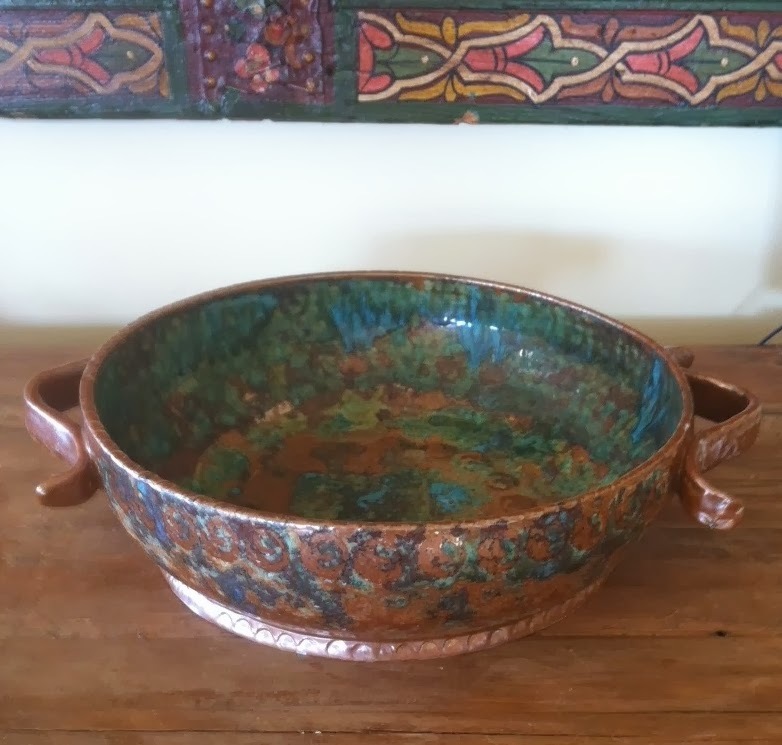 "Last summer I went to a workshop and worked with a famous potter named Tom Coleman. After that I began working exclusively with porcelain. 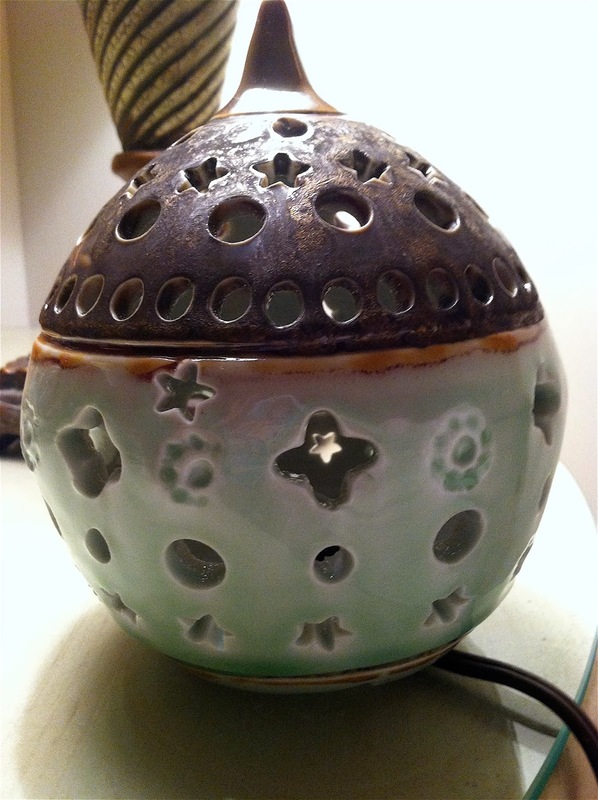 Then I went to a different kiln workshop with Tom and learned how to fire the small gas reduction kiln that I love! In particular are two end table lights that are my favorite. They are next to my bed. 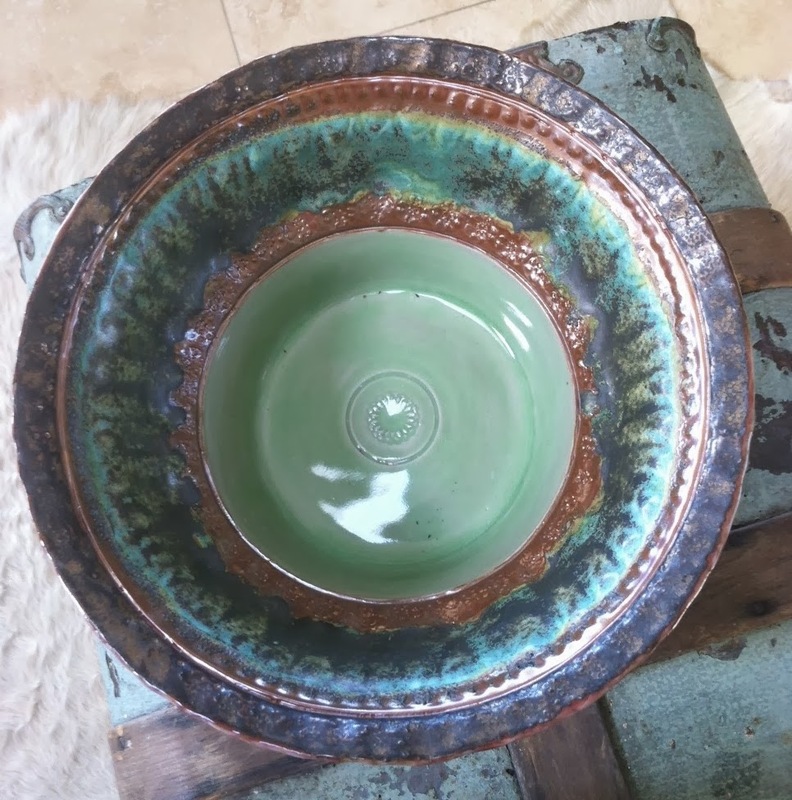 "I mix all my own glazes too and the kiln firing affects the color of the glazes so I have been especially happy with the glaze colors of the porcelain pieces that have come out of my kiln." 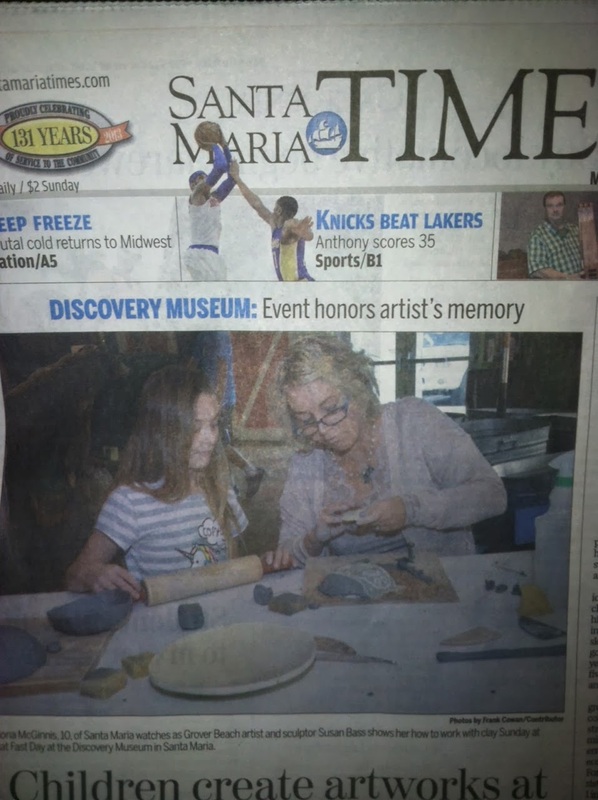 Susan was featured on the front page of the local paper a couple weeks ago for teaching ceramics at the local museum. She says it was such an honor to be asked to participate in this. She hopes to have it up and going by this summer 2014. 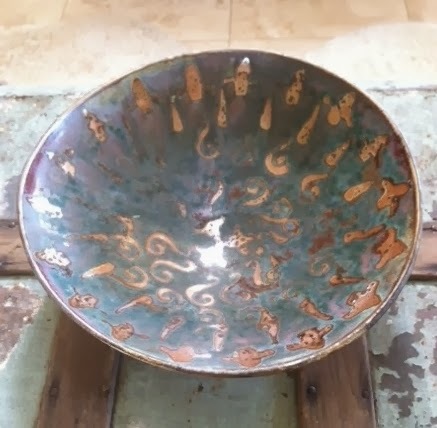 Susan said this piece is fired to 2300 degrees in a gas fired reduction kiln which makes all her wares stronger than ANY commercial pottery. That is why her pottery makes the most excellent cookware. It is certainly the most beautiful for sure. 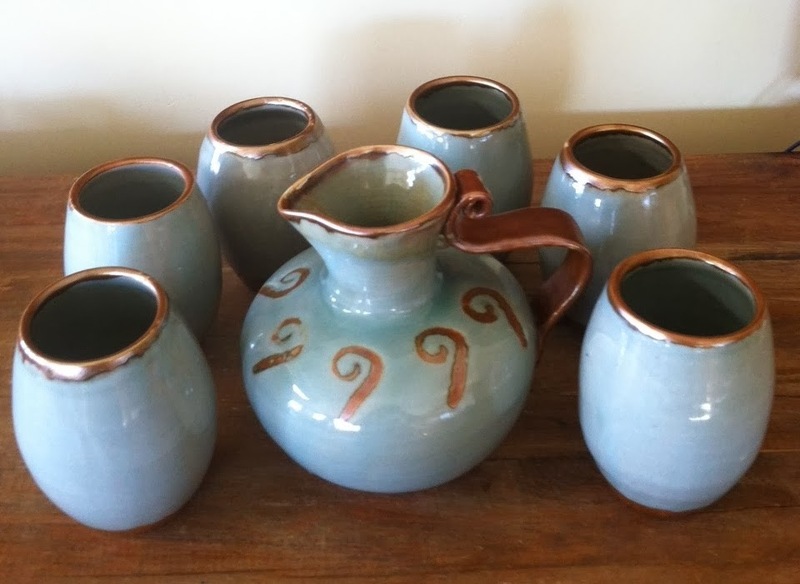 Susan says she uses this lovely blue decanter and glasses all the time and is currently working on another set. I love the handle on this piece. Now, who would not love these dishes on her table every day? 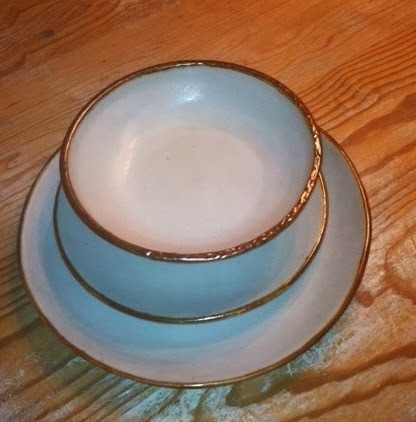 "This is my favorite glaze combo - White Icing with Copper trim!" 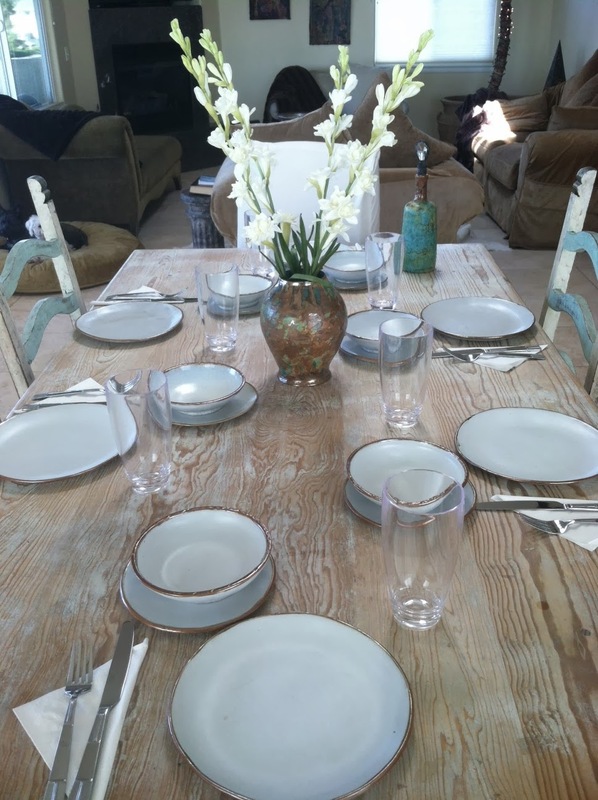 Don't these dishes make a beautiful table setting? Susan told me that on a recent trip to New York she noticed that water was often served from beautiful bottles. So she created her own and uses them to serve water at her own table. I love this idea and the bottle! 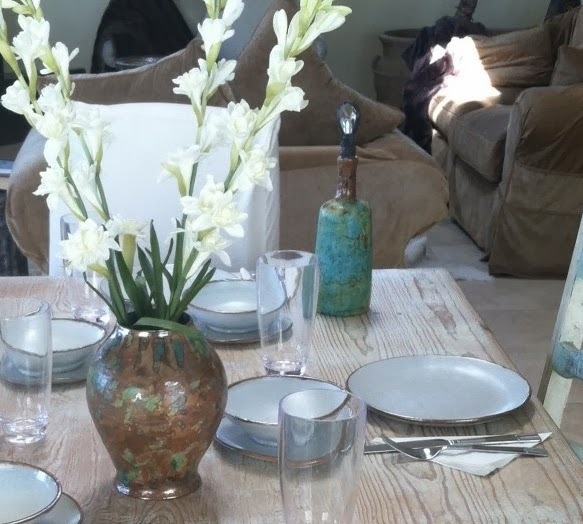 The gorgeous vase is also one of Susan's, needless to say. 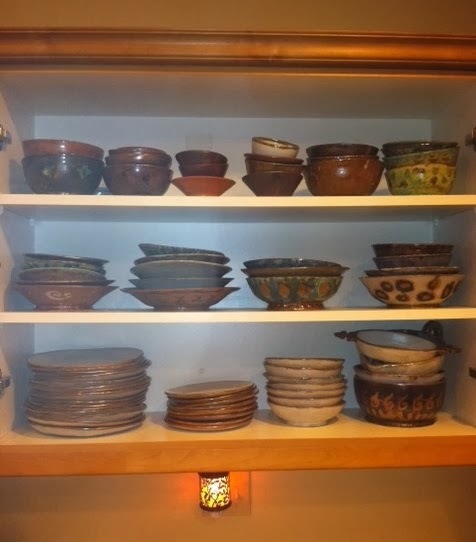 Below are pictures of her cabinets She made a complete set of matching dinnerware (dinner plates, salad plates and bowls) and makes just about every thing for the kitchen including casserole dishes. There aren't any shown in these pictures because she has given them all away or sold them. 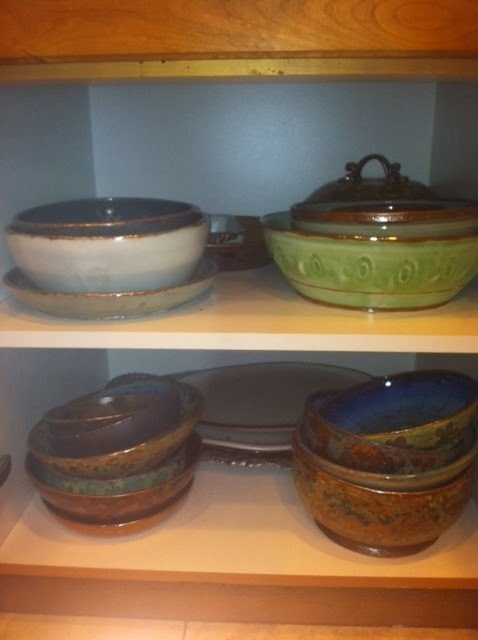 Susan does donate a lot of her pieces to charity and various organizations such as the food banks annual Empty Bowls fundraising and the local Meals on Wheels auction. The following are some of my favorite pieces and Susan's as well. "God's word is better than red ripe summertime strawberries!" 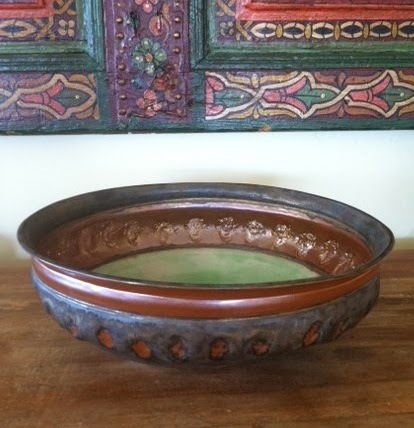 Handcrafted pottery into functional art. 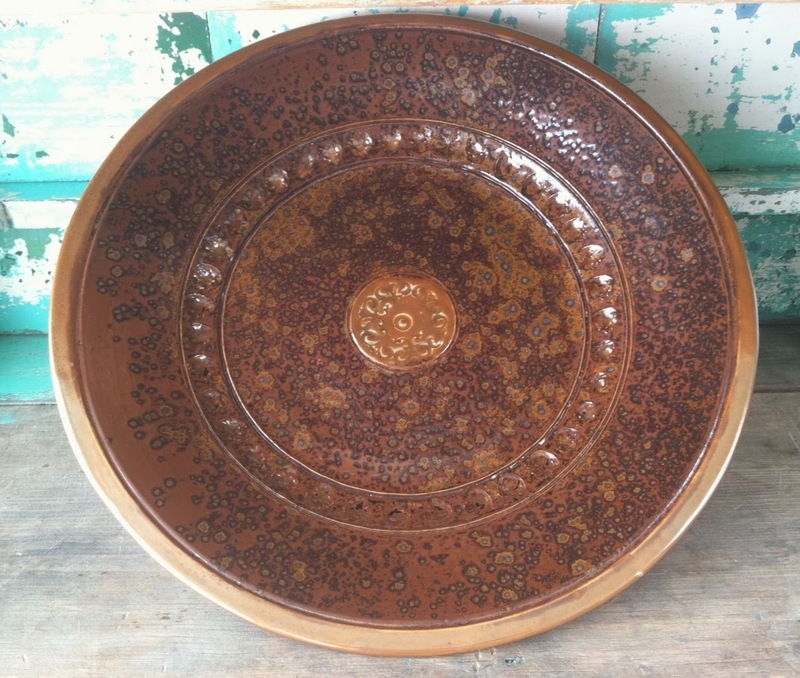 Serving platter: microwave, oven and dishwasher safe. "God's faithful love endures forever!" 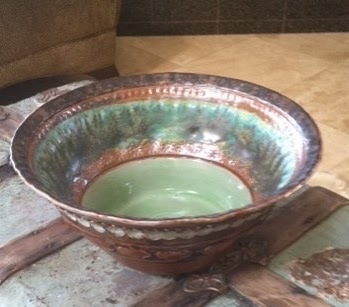 Large wheel thrown stoneware bowl with handles and custom glazes. 20" diameter and 4" deep. Makes an excellent salad bowl! "God is Love!" 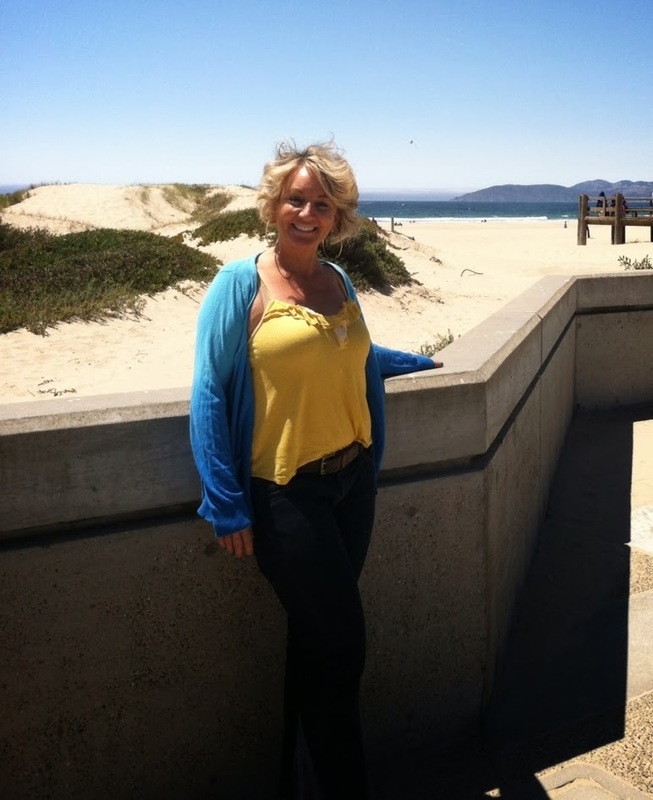 Okay, I'm ready to make a trip to California to meet this beautiful lady in person. Any takers? and have definitely made an impact on my life even from a distance. Did the Devil Make You Do It?? ?